Our contributing blogger this week is Dr. Lou Martin, Assistant Professor of History at Chatham University. 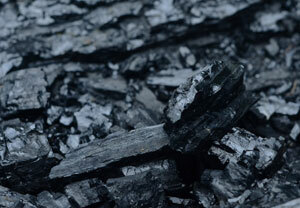 If you are interested in contributing to the After Coal blog, please e-mail aftercoalfilm@gmail.com. Enjoy! Having studied the 1950s and 1960s in West Virginia, I know that coal miners at that time were just as likely to lose their job to mechanization or mine closure as they were to retire with a pension. While miners and their families have suffered traumatic dislocations in the past, they have also proven themselves to be remarkably adaptable, able to overcome tremendous obstacles to start new lives. Having trained as an oral historian, I thought it might be useful if I recorded some of the ways that former miners have more recently made the transition away from coal. 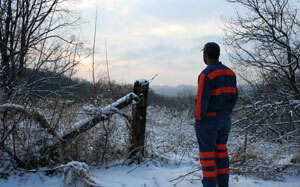 Nick Mullins pens a blog called ‘The Thoughtful Coal Miner’. These observations suggest to me that, for many, transitioning away from mining is not the same thing as simply filling out an application for another job or getting retrained. When I began this project I knew that the government programs that were supposed to help West Virginians in the 1960s had fallen short. My hope with this project is that coal miners will have a chance to read the words and thoughts of other miners who have started new careers. Nick Mullins left the mines of Virginia and headed to Berea College in Kentucky. He had struggled in high school with college prep courses like Algebra, but when I asked if he worried about doing well in college, he replied, “I knew that I wanted to get this education, hell or high water…I was a bit scared about Algebra I, and I actually got a book during the summer and started studying a little bit…but the teacher that they’ve got, Marylynn Blackburn, she’s amazing.” Mullins requested the hardest first-year reading course and says, “That first semester, it was a doozy.” Yet, he earned a 3.81 grade point average and is now finishing his second semester. Somebody asked me recently why I don’t just go talk to the people at the Small Business Administration, West Virginia Works, and other government agencies. They would have statistics and concrete information for anybody looking to start a new career. I intend to do that, but I never intended for these interviews to be a substitute for the work the people at those agencies are doing. It is my hope that the stories of former miners—whether they became small business owners, construction workers, farmers, and retirees—will provide a broader picture of previous transitions and dig into issues beyond resumes, training, and job openings. I hope that the real experiences and hard-earned lessons of these former miners will serve as an additional resource to anyone who has to find a new path in life, just like so many of the miners that came before them. ← What is Community Regeneration?